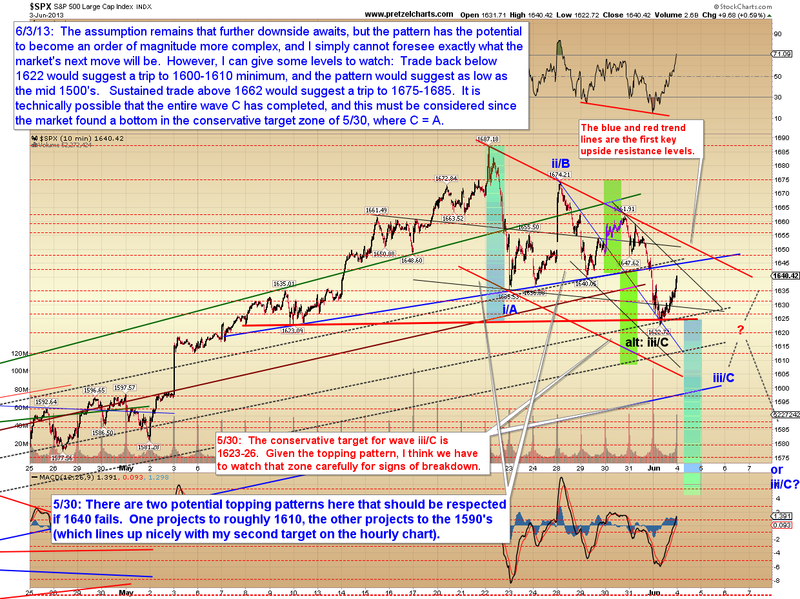 While yesterday's market found support in a zone I expected would provide it (1624 +/-), the strength of the resultant bounce has already exceeded the near-term expectations I published yesterday. This creates a bit of murkiness in the charts for the time being, largely because I've been viewing this drop as a wave C decline, and a common target for wave C is to travel a distance equal to wave A. 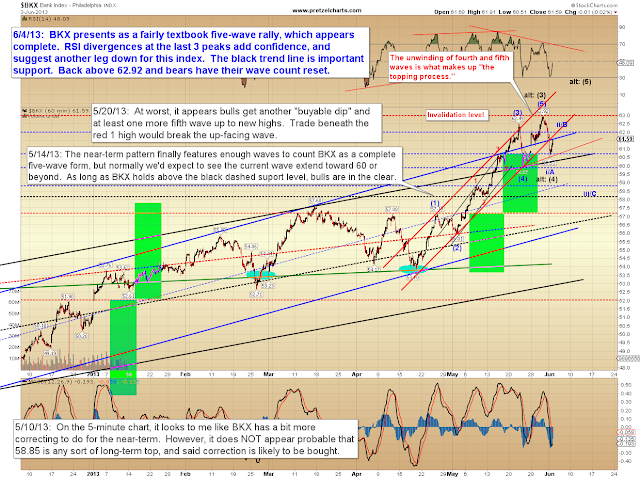 Wave C equaled wave A at SPX 1622.56, which is within pennies of the recent low. 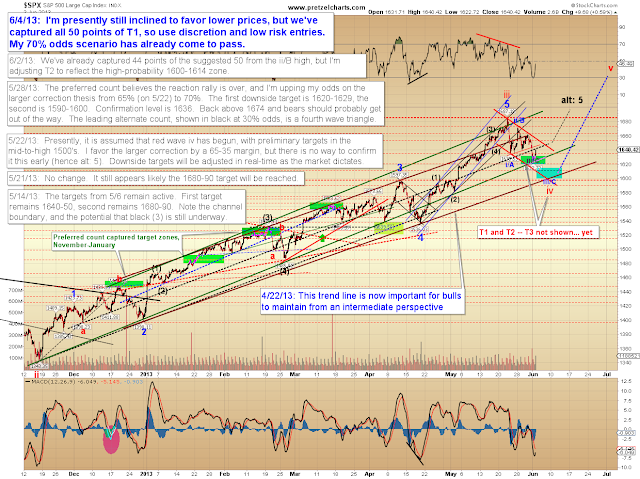 In this update, we'll look at the market's options from here, and see if we can find any additional clues to its next move. 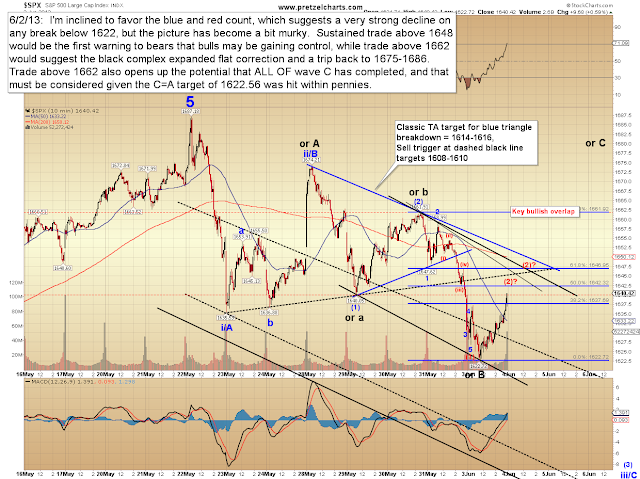 On a bright note: exactly one week ago, I noted my first target for the decline was 50 points from the wave ii/B high (not yet known), and all 50 points have now been captured. At this point, it's okay to have a few questions about the market's next move -- it's simply not possible to know what it will do every day of the week (in fact, many people believe it's not possible to ever know what the market will do, though needless to say, I'm not among them). I'm inclined to favor the idea that this is a subdividing decline, meaning that the recent five-wave declines are fractal puzzle pieces of a larger, still developing, five-wave decline. 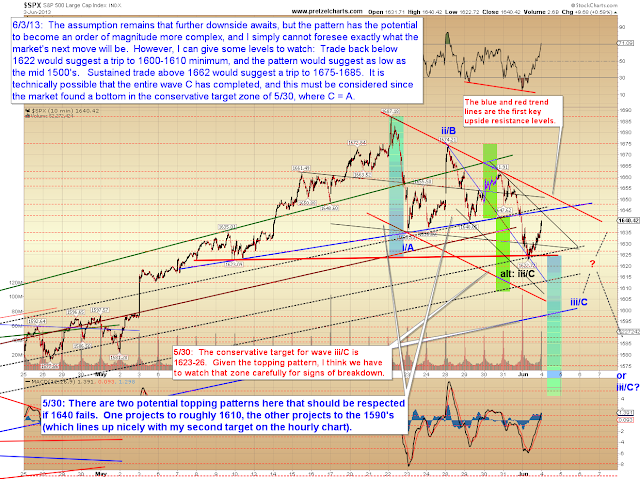 This is shown in a bit more detail on the chart below. 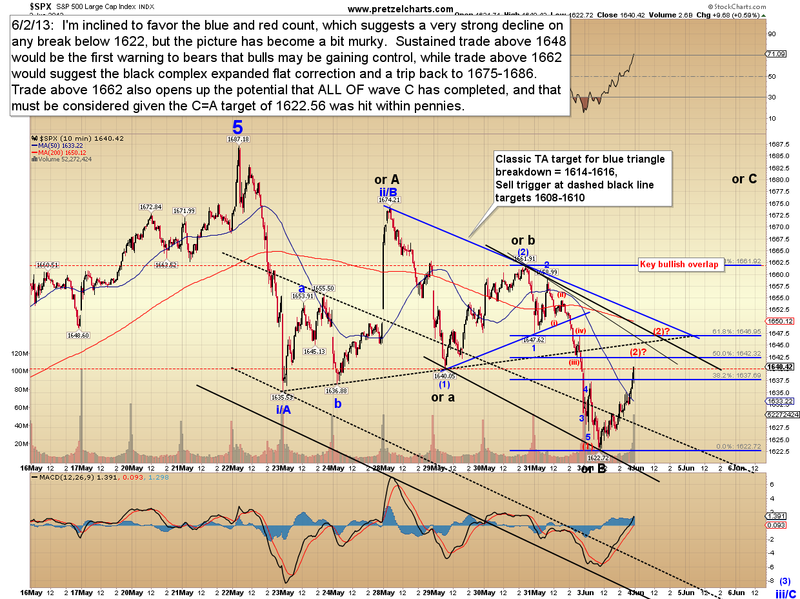 The chart also discusses the potential of an expanded flat (shown in black), since right now the decline from black A to black B looks like a three-wave decline (an abc). Another push down to new lows would change that three-wave form, but since the market is the final arbiter, it would be arrogant to simply assume that's going to happen with no consideration of an alternative. 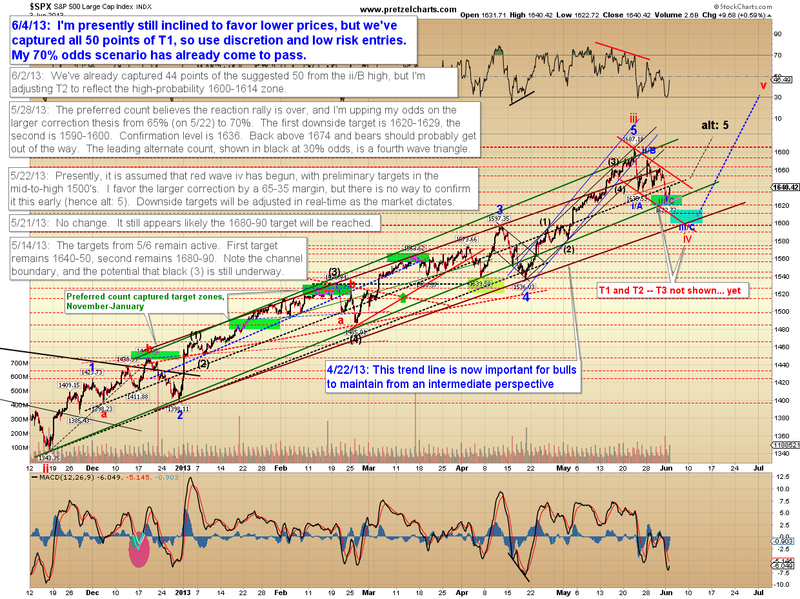 Zooming out a bit, we can see the market found support at the red line I highlighted on May 30, and this does create the potential of either a bottom or its opposite (a much larger topping pattern). I'm still inclined to favor lower prices after this rally, but this wave may not be straightforward or easy to predict. 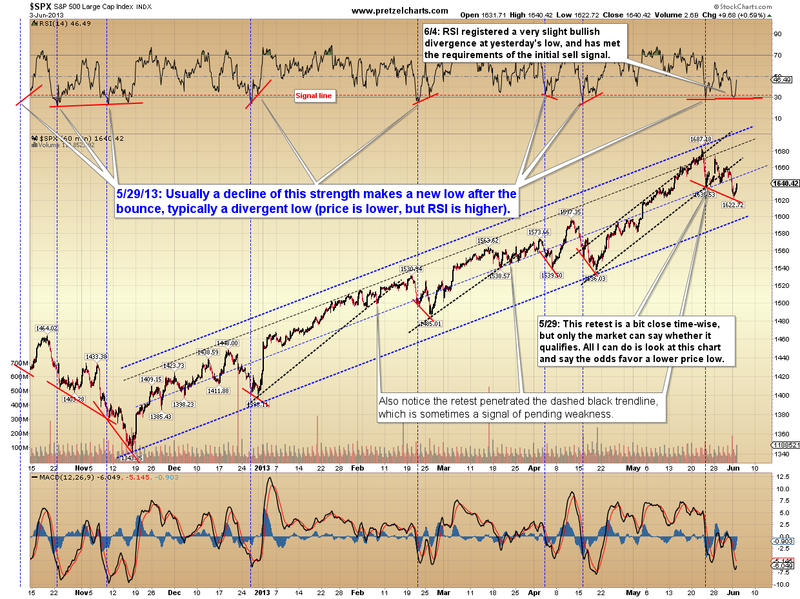 This chart discusses some of the key levels. One index keeping me in favor of additional downside is the Philadelphia Bank Index (BKX), shown below. The recent decline from the swing high appears to be impulsive (meaning it's a five-wave structure -- and five-wave structures point to the direction of the next-larger wave). The hourly chart has captured the first target zone, a decline of more than 50 points (to be entirely fair, if you'd sold short a week ago at the lowest edge of my rally target zone, you'd only have captured 40 SPX points). The 70% odds scenario has now come to pass, and while I'm favoring additional downside, I'm not considering that at 70% odds. I'm simply not as certain of how we'll get there, or even if we'll get there, and I would consider my confidence level at closer to 55% right now. 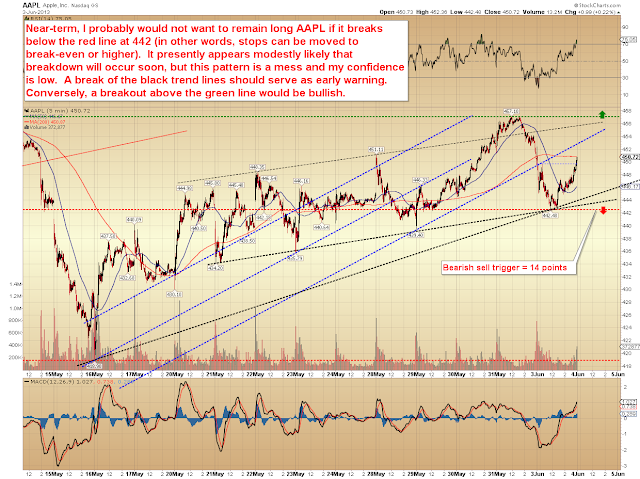 I'd also like to do a quick update on Apple (AAPL), which I discussed as a potential long position on May 22. Personally, I wouldn't want to stay long below 442, as that would suggest a drop of at least 14 points -- so stops can be moved to roughly break-even. 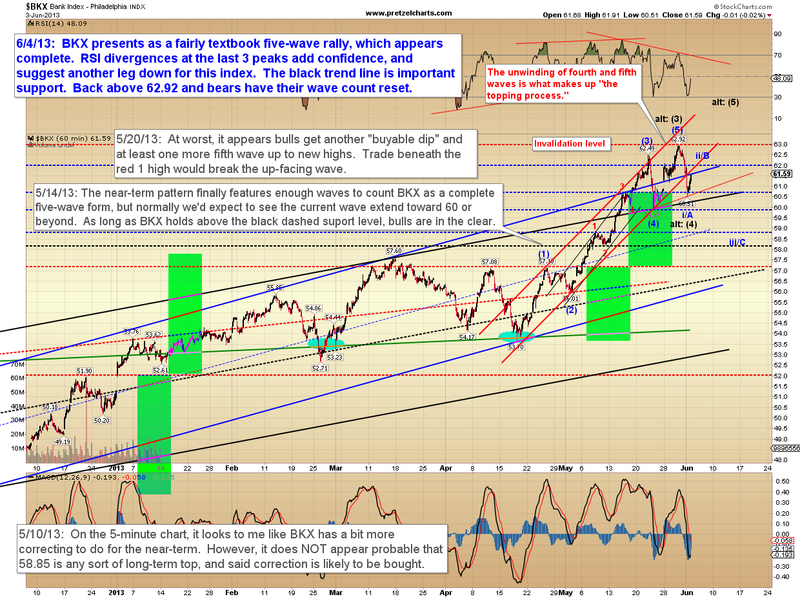 In conclusion, there's a straightforward way to look at this rally wave (as wave (2) shown on the first chart), but there's little in the charts at this exact moment to tell us if that's the correct interpretation; and it would be myopic to imagine that's the only interpretation or possibility. We'll simply have to stay nimble here and choose any new entries wisely, rather than risk giving back all last week's profit. Trade safe. and liaisons with workers and clientele.